We may call this page a Mission & Vision page. But our mission is so big that we’d rather call this page a massive transformative purpose. The emission numbers on flying are clear. Direct emissions from aviation account for about 3% of the EU’s total greenhouse gas emissions and more than 2% of global emissions. If global aviation would be represented as a country, it would rank in the top 10 emitters. Greenhouse gas emissions from aviation continue to grow. The David Suzuki foundation estimates that since 1990, CO2 emissions from international aviation have increased 83 per cent. It’s estimated that the amount of air transport passengers will at least double in the next 20 years. In terms of efficiency, it appears that improvements in current aircraft technology have nearly reached their limit. Further significant fuel-efficiency gains will probably only come from the development of radically new airplane designs and systems. While travelling, it’s not only the flight’s CO2-emissions that contribute to the travel’s emissions. Also hotels, consuming and local travel contribute to the CO2-cake. 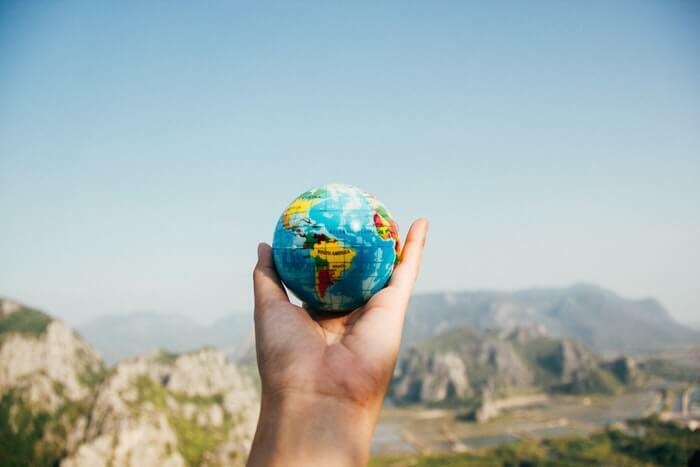 When looking at the tourism sector, new research estimates that tourism accounts for about 8 percentof global gas emissions. To keep global temperature rise below 1.5 degrees (Paris Agreement), it’s obvious that we need to reduce our energy consumption, also by reducing flying. Is it possible to fully stop emitting CO2 while travelling? No, currently not. Is it possible to partially reduce CO2 while travelling? Yes, that’s possible! There’s various ways to reduce travel emissions. The D in DAS framework stands for Decrease in CO2-emissions from flying. Although it’s expected that it will take decades before low-carbon flying will arise, there’s a current temporary solution that will help reduce air travel carbon emissions: CO2 offsetting. While there’s debate on the effectivity of carbon offsetting, in our opinion it’s better to do something than nothing. When looking at the world’s carbon emissions by activity and source, it’s clear that there’s low-hanging fruit in some sectors. For example, a quarter of all global greenhouse gas emissions comes from coal combustion. And, up to twelve per cent of all global greenhouse gas emissions comes from deforestation. That’s sectors and activities where carbon emission reduction is easier and cheaper than in air travel. Unfortunately, the amount of air travel passengers that offset their flight is low. Not even 1% percent offsets their flight. That’s why we offset your flight out of part of the fees we receive at forwarding you to online travel agencies (OTAs). That means less profit for us, but more profit for carbon emission reductions! With these fees we can offset up to 100% of your flight’s CO2-emissions for free. What if up to 50% of the carbon emissions of all flights is automatically offset by planting trees or replacing coal cookers with solar cookers? That would mean a global 1% reduction of carbon emissions. And with growing air travel numbers that would mean even a larger reduction. That’s where FlyGRN comes in. We do acknowledge that the best way to reduce carbon emissions is by flying less or not at all. Therefore Decrease also stands for Decrease in Flying. We try to achieve that by Awareness and Substitution. While most people don’t have an environmental or physics degree in their pocket, it’s obvious that not everybody knows what a tonne of CO2 is (to get an idea, view this picture). 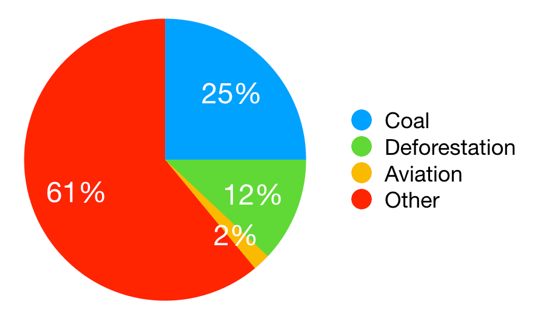 One thing that most people do know is that air travel emits large amounts of greenhouse gases. That’s why we came with the idea of integrating carbon metrics while searching flights. We also include the percentage of CO2 we can offset for free with the fees we receive when you book a flight via one of our partners and you came via us. We use substitution in several ways. Second of all, FlyGRN is a substitution for current flight meta search engines that do not offset flight emissions. We thereby also try to offer hotels via FlyGRN Hotels and FlyGRN Car Rentals. For each €100 spent on hotels or car rental we plant a tree via Treeplanters.net. We finally try to make people aware of other substitutions they can make. From eating less meat to switching to green electricity. For example in the Netherlands, there is a very clear distinction in energy suppliers that sell or produce electricity from renewable energy sources vs. fossil fuel sources. If every household would switch to electricity from sustainable sources that would also have a significant impact on reductions in greenhouse gases. There’s two possibilities for airlines to fly greener: flying hybrid/electric and using biofuels. First, switching to electric and hybrid flying. Some small plans are made to have some small-sized passenger aircrafts before 2030. And there’s already two-person electric planesthat are available on the market. Another important substitution opportunity that airlines can make is switching to biofuels. That’s already done by KLM on a small scale. Some Dutch news articles speak about an emission reduction of 80% if airlines would switch to biofuels. Emission reductions depend on the source where the biofuel comes from of course. Also it’s important that these biofuels don’t compete with food production. But it seems viable that this is a field where emissions reductions could be made. Air travel is excluded from the Paris agreement and no tax is paid on aviation fuel. An often proposed idea is putting a tax on carbon, thereby making less carbon options more attractive in all sectors and industries. Europe could also increase the quality of its railway network, by making better and faster rail connections. That would make rail travel an important alternative for short distances to air travel. Several articles have been writtenabout reducing greenhouse gases as a company. Also, several tools have been made available about measuring and reporting greenhouse gasesas a company. Regarding to flying we would advise to also implement DAS-framework in your company. So think about Decreasing your GHG emissions from flying, and think about flying less. But also implementing Awareness and Substitution measures within your company would contribute to less GHG emissions. 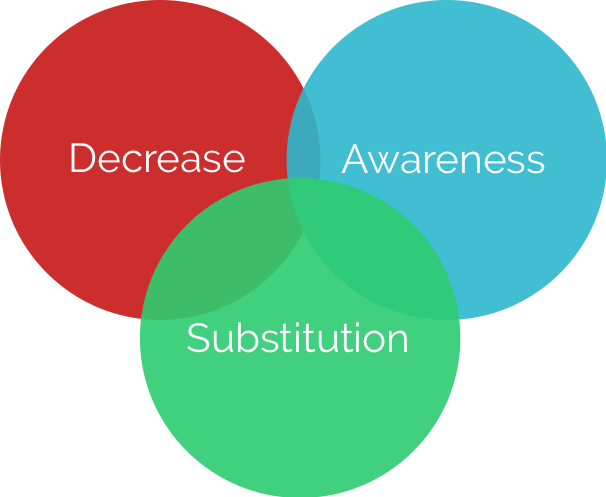 Awareness: become and stay aware of the amount of carbon you emit for all activities. You can do a rough estimation of your carbon footprint here. Substitute: think about reduction possibilities that you can substitute. E.g. can you switch to electricity from renewable energy sources? Or can you start using the train instead of traveling by car or plane? Greenpeace UK also wrote a couple effective substitution and decrease tips. With these measures we hope to accelerate emission reductions in the travel field.